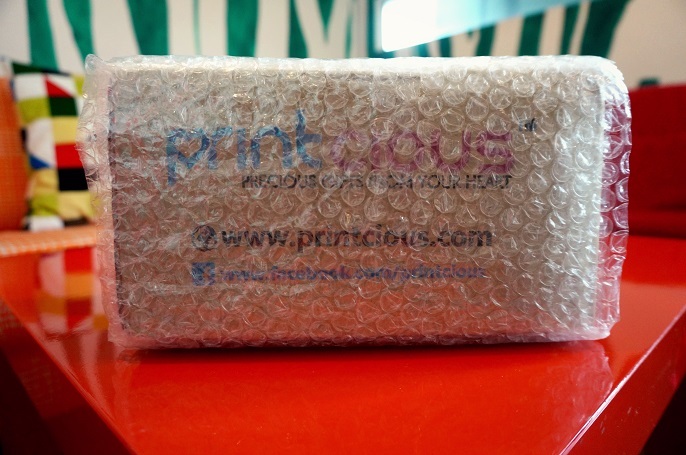 Do you remember my post about the Printcious, a website which provides printing services on more than 200 DIY gift items? If you missed it, click here to find out! 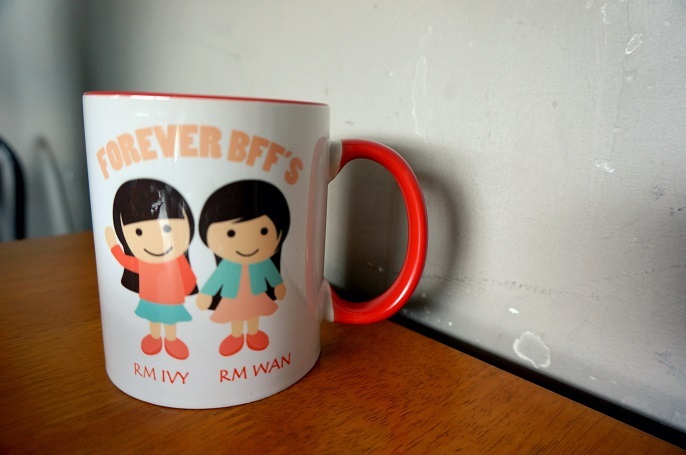 I love the idea from Printcious whereby the gift that you purchased would be the only one in the world, just like how precious and special the Forever Bff mugs I got for my girl friends on this Christmas. The parcel arrived safely to my doorstep after 3 days I confirmed my order. The delivery came promptly as the site stated 3-5 days upon your payment settlement. I was planned to give them during our Christmas gathering, unfortunately Wan couldn't make it because she had family trip during that period. Anyway, when I received the parcel, I was pretty impressed with the packaging. 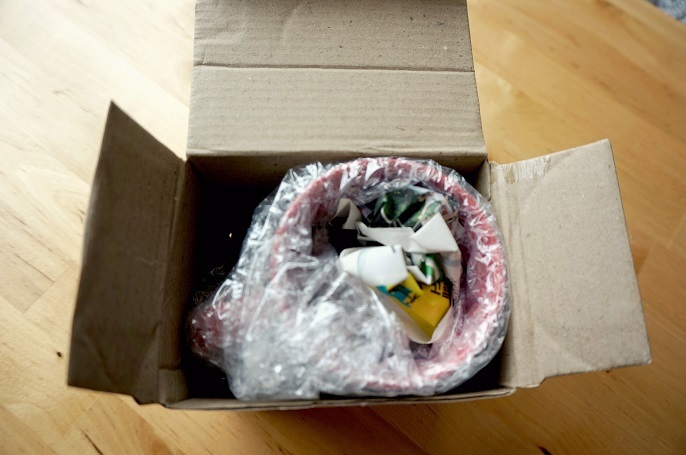 It's quite a small parcel but it offered better and durable protection of the goods inside. 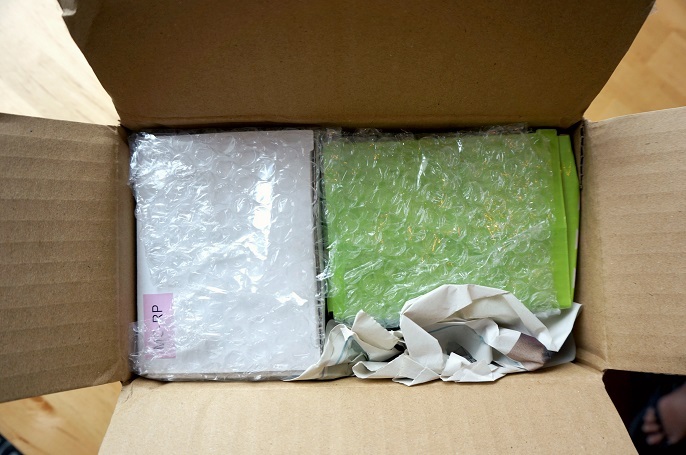 They wrapped each mugs with the polybags, and packed them tight inside the box so the mugs cannot shift during transport. 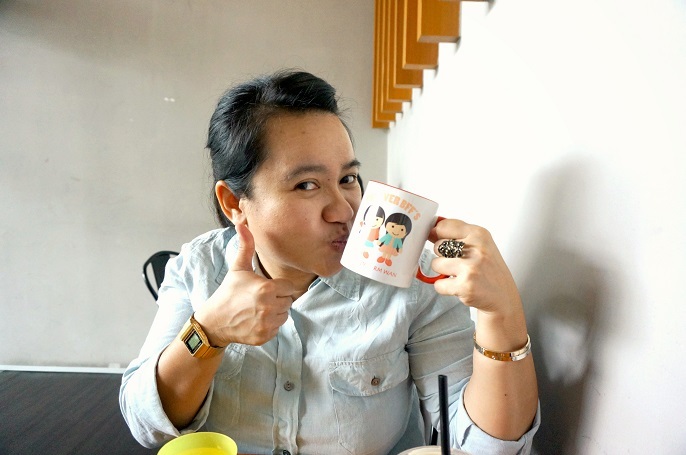 This red mug is for Wan. I added my name and her name on the adorable graphics so that it looks unique and couldn't be found anywhere else. 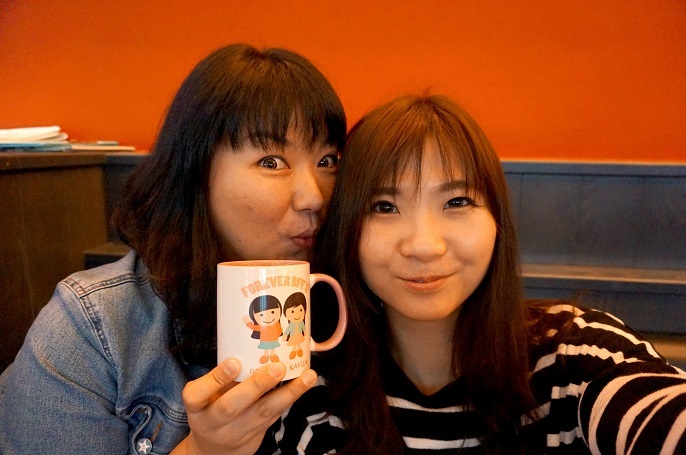 We have been calling each other as "roommate" ever since we stayed in the same room together when we studied in the USA. It was a tiring day for her when we met up for a coffee on that day as she has to rush back to Kuala Kangsar to meet her parents after this. However, I managed to give her a boost at the end of her day by giving her the surprise gift. She likes the surprise and of course the gift! 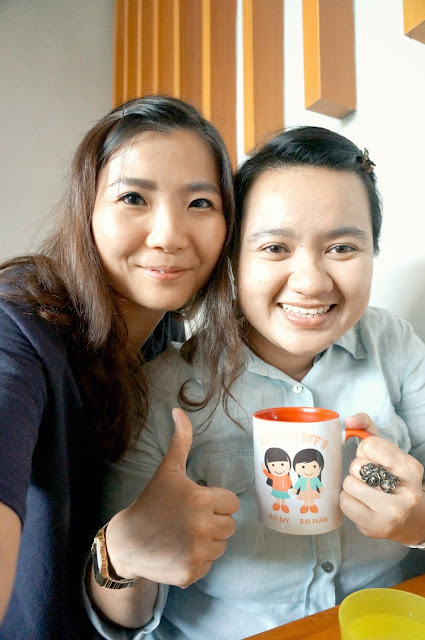 It's not easy to establish and maintain a long friendship for 13 years plus. It's my pleasure to have met you and became close friends together. 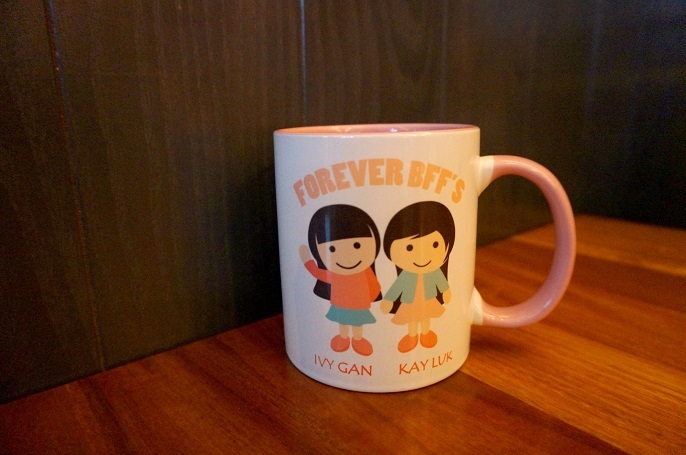 I changed the colour to light pink and the names on the same mug which I am going to give to Kay. 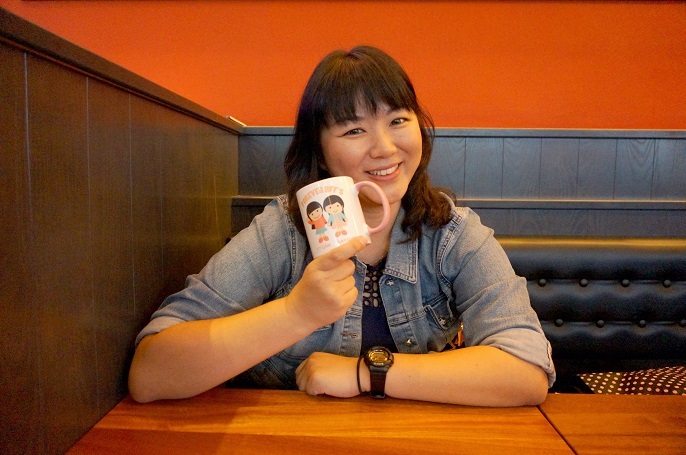 She had her Christmas holiday in KL, and it's surely the good time to give this pressie when celebrating the Christmas with her in this year! I believe receiving present is always nice but getting a surprise is even overwhelming as you never expect to get something. Thank you for being such a wonderful friend for loving me and supporting me no matter what. You have one of the closest friend in my life who bring me so much of positive energy whenever I need it. Always remember, small little thing can cheer up people, like giving a simple gift. It also made their heart so happy that you thought of them. More details about Printcious, you can simply click the right banner with DIY @ Printcious or visit their website at http://www.printcious.com/ and FB page https://www.facebook.com/printcious.